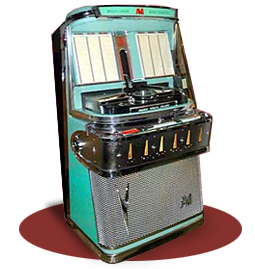 AMI’s origins goes back to 1909 but it wasn’t until 1925 when The National Piano Manufacturing Company and the National Automatic Music Company merged and became the Automatic Musical Instruments Co that the jukebox manufacturer we now know was formed. 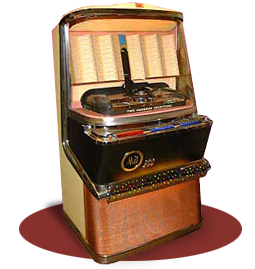 Their first phonograph, the National Automatic, was introduced in 1927, shortly after amplified music became possible. 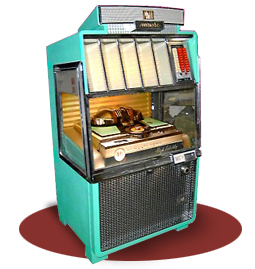 The mechanism could play both sides of 10 x 78rpm records. 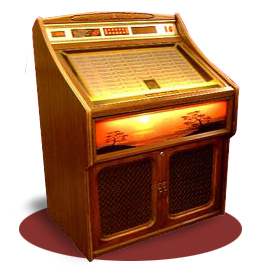 Other companies manufactured under licence during the export restrictions set up during the second world war and the names Jensen, BAL-AMI and IMA-AMI entered the jukebox market. 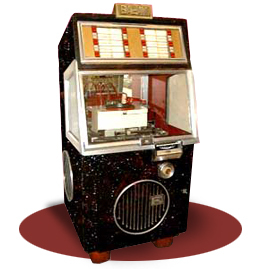 Jensen and IMA-AMI were based in Denmark and built machines from 1940 to 1962 whereas BAL-AMI were based in England and built machines from 1953 to 1963. 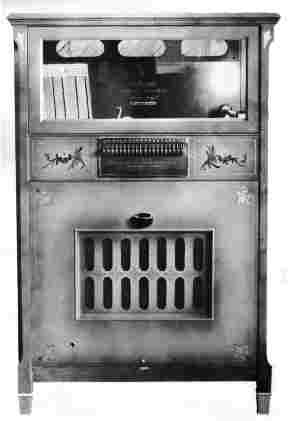 They used the basic AMI mechanism and design elements but produced their own cabinets in the style of the American machines. 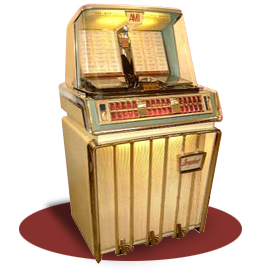 The most collectable models are currently the American built, 200 selection electric H, I, Continental One and Continental Two.